Richmond, it's been three long months since the NASCAR Sprint Cup Series put rubber to the pavement. But one international cycling tournament, four federal holidays, a snowstorm and several craft beer festivals later- the wait is finally over. 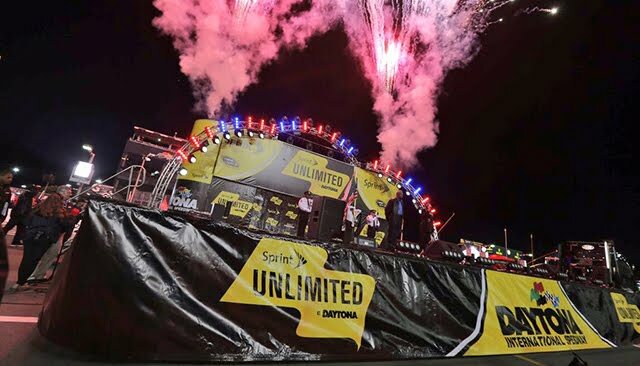 Speedweeks at Daytona International Speedway kicks off this weekend with the Sprint Unlimited on Saturday. As all eyes turn to central Florida for the season's start, questions surrounding the 2016 season begin to surface. Will Rowdy Nation celebrate a Championship for the second year in a row? Is 2016 the year Junior brings home his first Sprint Cup trophy? And how the heck will the 24 look without Gordon behind the wheel? Who'll be breathing easy when they return to Richmond this September, and who'll feel the pressure of potentially missing the Chase cut? Kyle Busch: Best driver rating at Daytona among active drivers. Won the race back in 2012. Oh yeah- and he's the defending champ. Dale Earnhardt Jr.: Daytona's pied-piper. Junior's one of the best restrictor plate racers out there, and with four points-paying wins at Daytona, four Can-Am Duels wins, and two Sprint Unlimited wins, he's always an odds-on Speedweeks favorite. Joey Logano: Finding recent success on restrictor plate tracks, Logano is one to keep an eye on Saturday night. His one win at Daytona comes in the 2015 Daytona 500, but Logano has proven that he has what it takes to make moves in the draft. Be on the lookout for these drivers and the rest of the field on Saturday, February 13 during the Sprint Unlimited. Tune into FOX at 8 p.m. to catch all the action!